Donna lives in Denver with her husband Patrick, who is her first-line editor and biggest fan. 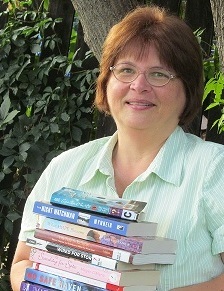 She writes historical suspense under her own name, and contemporary suspense under her alter ego of Leeann Betts. You can follow her on Facebook and Twitter, and online at: www.HiStoryThruTheAges.wordpress.com. Her books are available at Amazon.com in digital and print. Click here to subscribe to her free quarterly newsletter. Most readers of historical fiction have heard of hard tack but may not know what it looks like, tastes like, its origin or its uses. Hard tack was a mixture of flour, lard, salt, and baking soda that, when baked, was—well, hard. Seagoing ships had a problem with storing fresh bread because it would mold quickly in the damp, warm below-decks environment of the ship’s galley (kitchen). Hard tack was originally served as-is—in small lumps called cakes, about four inches long and two inches thick. Sailors gnawed at the concoction or broke it into pieces and soaked it in their soup or tea to make it more easily eaten. At some point in history (exact date unknown), somebody came up with the idea of soaking and boiling the hard tack, resulting in a semi-solid mass that, in Newfoundland, became known as brewis, pronounced bruise. By itself, brewis is bland, but when mixed with salt fish or fresh fish and slathered with molasses, becomes a gourmet dish in itself. My next release, The Physics of Love, is set in Newfoundland, where I was born and spent much of my growing-up years. The story is based on my father’s life and circumstances, and recounts his life in a small town during the 1930’s and 1940’s. Fish and brewis, as the dish is called in Newfoundland, was a staple during that time. Because refrigeration was scarce, salt fish was most often used, with the fish being dried, or cured, on platforms called flakes, which were made of stripped tree branches. Flakes still dot wharves and beaches all around the island. If you have the opportunity to visit Newfoundland—and a surprising number of people have told me that going there is on their list of places to see—make sure to stop in at a small restaurant and ask for Fish and Brewis, with plenty of molasses. The little square pieces of browned something are called scruncheons, Newfie-talk for fried fatback, a pork product consisting of an inner layer of skin and the next inch or so of fat. Hmmm-mmm good! A woman looking for love in all the wrong places. A boy-child looking for a forever family. A man who found everything he ever wanted. 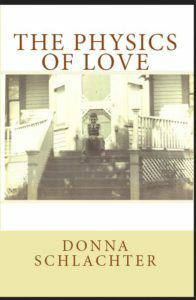 The Physics of Love is the tale of growing up in a small town in Newfoundland, of learning you are not who you thought you were, of discovering your father wants nothing to do with you, of persevering to make the best of things—for both her and him. 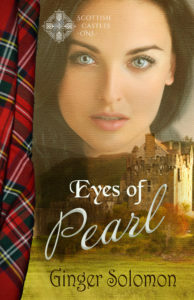 Hi Ginger, thanks for letting me stop by and gab with your readers. It was a lot of fun! I found your post very enlightening. Thanks for stopping by.